A Saturday meander through Boots skincare department to look for a new face cream that would hopefully iron out some of those wrinkles …. And what an array to choose from. So when I was approached by an assistant with the offer of a sample and perhaps a test on the back of my hand I was drawn in … Like a moth to a flame (sucker!) On closer inspection a new L’Oreal cream was being trialled with the divine and ever youthful Helen Mirren as the figurehead. Proffering a wrinkly hand I was massaged first with a liquid serum (Glow Re-Activating Essence) followed by a calamine pink cream – L’Oreal Age Perfect Golden Age, Rose ReFortifying Day Cream. 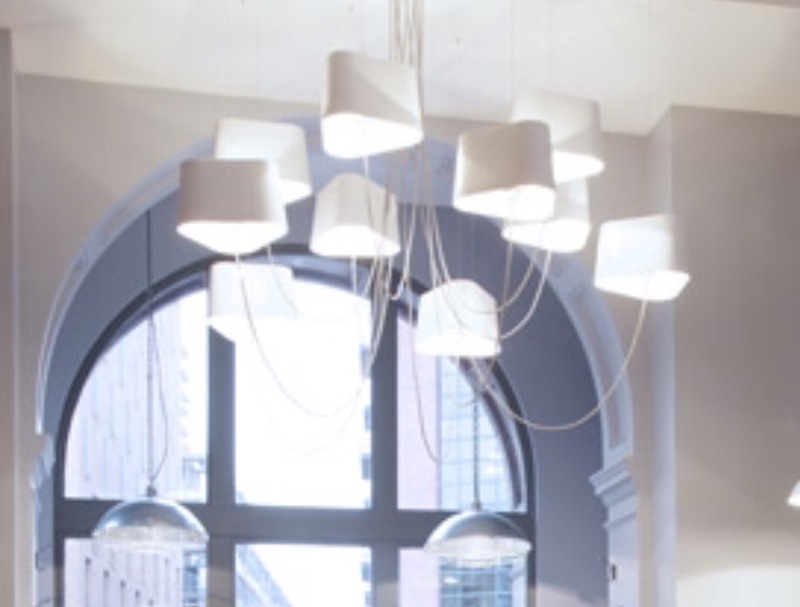 Who wouldn’t be drawn in with the promise of ‘re-cushions’ and ‘glow activating’ ? Ever the optimist I purchased in a frenzy, hopeful that my next ‘new to market’ skin cream purchase would truly contain the elixir of youth. 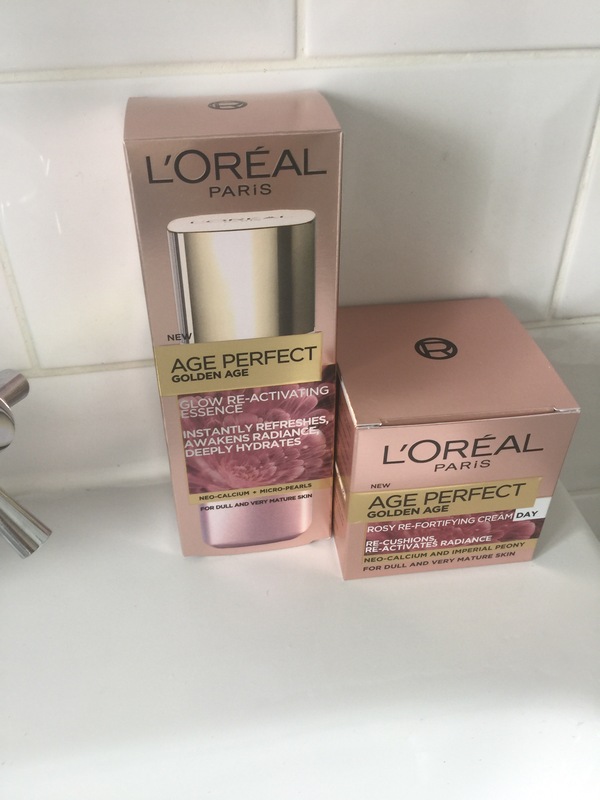 On returning home I headed straight to the L’Oreal website to check out the details … And there it was … Skincare for 60 year olds! How rude! Anyway I have had it for a while now and have been using it diligently. The serum is cooling on the skin but does not feel particularly rich or nourishing, though it is flecked with tiny rose gold particles. The cream is super thick and almost ‘stiff’ but moisturises well. The packaging and feel of the products are pure luxury but fortunately not the price… And like so many of these large companies nearly always on offer in some form or another at Boots. Results – no outbreak, moisturising and gorgeously glamorous packaging Not sure I am a full convert and can probably be tempted by the next ‘big thing’ however having now finished the moisturising cream and being left with nearly half a bottle of the serum I will probably buy another of the moisturising day cream as I like my skincare to ‘match’ which is totally at odds with many beauty bloggers who have a plethora of products in their bathroom cabinets which they rotate throughout the week! Thinking what to wear takes long enough, introducing a choice of skincare to the fray would be a disaster! I don’t know what it is about these new boutique essentials hotel chains malingering around the nether regions of the alphabet … First Z and now Q(bic) but whatever the reasoning behind the names, the end results are impressive. Dutch owned, the quirkily decorated rooms offer a budget stay on the cool East side of London. Rooms are offered on three price/size bands. We opted for the cheapest … After all this was a stop off for a late night out in London followed by a hearty brunch at Dirty Burger/Chicken Shop. All we required was cleanliness, a comfortable bed and a decent shower. 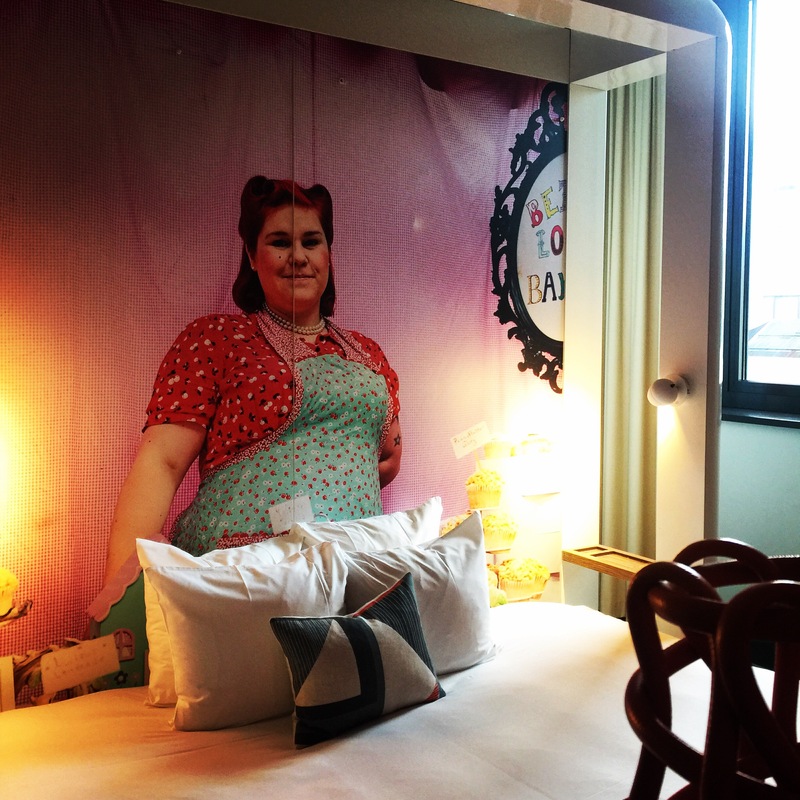 Qbic delivers on all three … The buxom Mrs Mop presiding over our bed in the form of a large graphic is less daunting after a few cocktails and is an amusing welcome to the room on check-in. 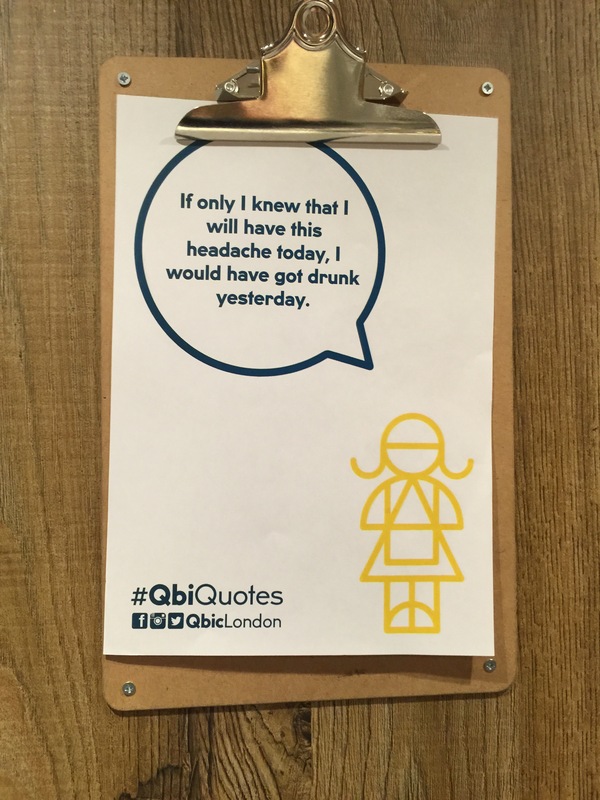 For an inexpensive overnight stay with a little more soul and tongue-in-cheek humour than your average Premier Inn, Qbic is a great find! 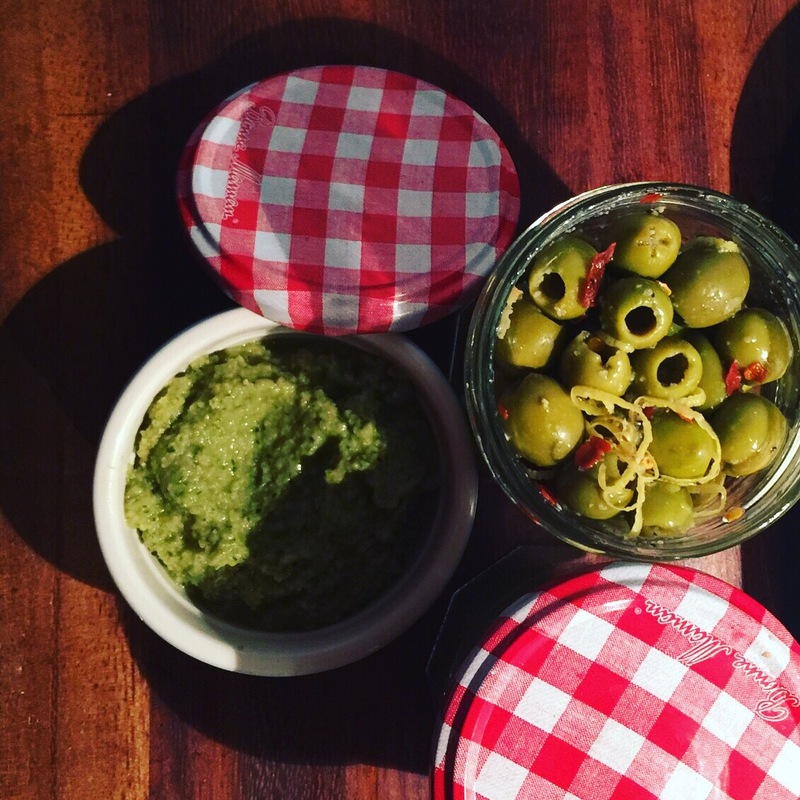 Traditionally Tapenade was made from black olives in the South of France but this is made from green olives – it’s personal choice! Also I can buy the large jars of Crespo green pitted olives in brine in Waitrose which makes it less costly if you want to make big batches for entertaining. You can find variations on this recipe that include sun dried tomatoes, basil … It’s a Mediterranean dish served as a dip or spread on little rounds of bread or toast, also delicious cooked in with robust white fish like hake. Add all the ingredients to a blender and whizz until you get the desired texture … You will see mine is quite smooth but that’s because my Vitamix has no middle ground – it’s either unchopped or puree!! So a hunt on Trivago to check out what’s available at what price will throw up grisly b&b’s as far out as Wembley but if you are fairly clued in on the geography of London you can on occasion pick up a bargain Pre-Christmas we stayed at Z Shoreditch, a designer conversion of a former office building, with 111 bedrooms arranged over lower ground, ground and three upper floors. 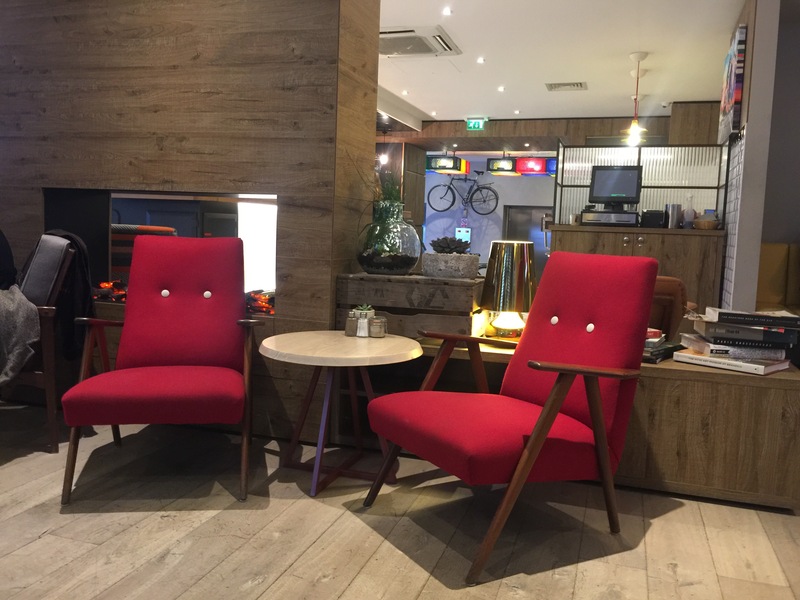 Staying in Shoreditch, where space is at a premium this hotel concept is to provide maximum comfort in a compact space. But fear not, these are not anything like those Japanese sleep pods that remind me of a morgue! We had a basement room that had a small window panel to the side of the bed but as we rolled in at 1am, outside was still awash with late night revellers, window or not the room was perfect for our needs – sleep! A bedside control panel for lights and a/c mean even in the dead of night it’s easy to cool things down or illuminate a path to the loo! Breakfast is not included in their basic room rate but can be taken in the cafe next to reception.